This is the district of glass facades where one can sense and see that Milan has acquired newfound belief in its fortunes and economic strength. The architecture (which displays a discontinuous quality) is proof of this. Contrary to rumours, the area’s recently built works were conceived and discussed well before Expo 2015, although the Expo did help to nudge them into existence and frame them culturally within the late international style. Foreign tourists have been heard calling this area “the new city”. This zone, which represents the rising city mostly, lies along an axis that, from the late 19th century, has hosted a number of infrastructural projects providing services to the modern city and mediating with the industrial city to the north. It has followed a metropolitan logic. The projects include the Monumental Cemetery (according to Maurizio Cattelan, “An open-air museum, but without the curators, collectors or gallerists. Just the dead”); the Milano Centrale station (appreciated by many for its scale and hybrid language between Art Deco and Fascist); the Porta Garibaldi station (the city’s main interchange station); the Centro Direzionale business district; the Pirelli Tower (by Gio Ponti and Pier Luigi Nervi); the Porta Nuova complex; the Biblioteca degli Alberi (or “Library of Trees”, forming a 90,000-square-metre urban park by Petra Blaisse, which will spread around the Fondazione Catella in Via de Castillia), the Fondazione Feltrinelli; the Passante Ferroviario underground rail link; and other works built in the vicinity. 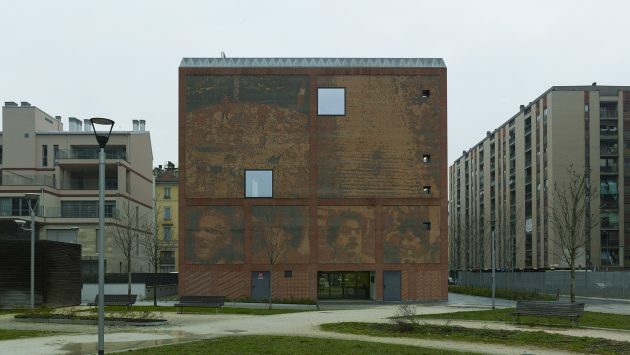 The Fondazione Feltrinelli arguably surpasses the others. But also of note is the Casa della Memoria (“House of Memory”) with its intriguing design by Studio Baukuh (a building that, in Bijoy Jain’s words, displays “an incredible sense of drama in its pavilion-like scale, which neatly expresses the key role of the matter at hand: memory”). 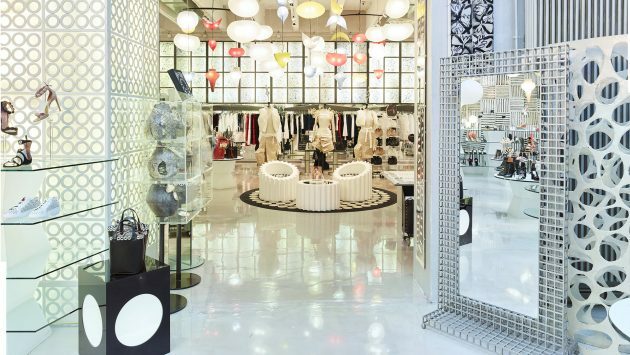 Like London’s Barbican and Paris’s Les Halles (the former from the 1960s-70s, the latter from the 1970s), now Milan also has a slightly dreamlike place, a small satellite city: Porta Nuova. It is a world custom-made for pedestrians, on a different level compared to that of the normal city, equipped with water features, shops and excellent infrastructures, un-chaotic and sanitised. From the Gioia metro stop, by walking along Via Gaetano de Castillia one enters the Isola district until reaching the foot of the new Piazza Gae Aulenti. The round plaza is overlooked by towers, while the residences take the second row. From here, it’s a short walk to the city centre across the cycle and pedestrian bridge leading from Piazza Gae Aulenti to Piazza Alvar Aalto. Entirely built in steel to a project by the Arup studio, the bridge passes over Via Melchiorre Gioia and connects the Unicredit complex to the others towers in the Ex-Varesine area. 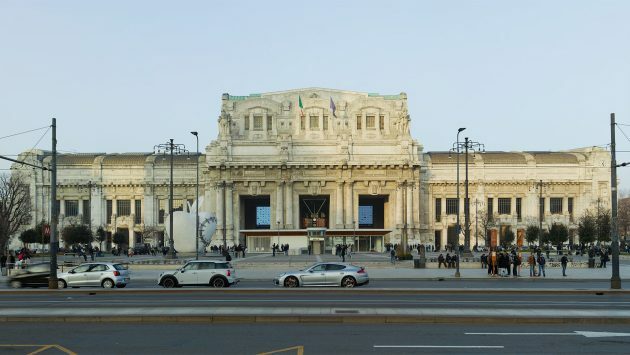 In some ways, Porta Nuova is half city district and half suburban: on one hand it can be considered an extension of the centre towards the north, but on the other it can be seen as a city shopping mall sensibly positioned in the vicinity of a rail hub. 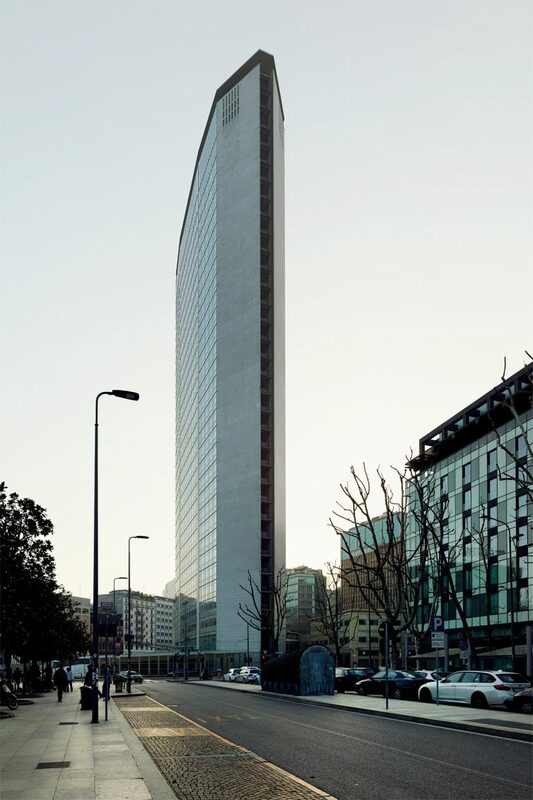 With Piazza Gae Aulenti, the Porta Nuova complex also opens onto the Garibaldi district, providing pedestrian access to Corso Como. 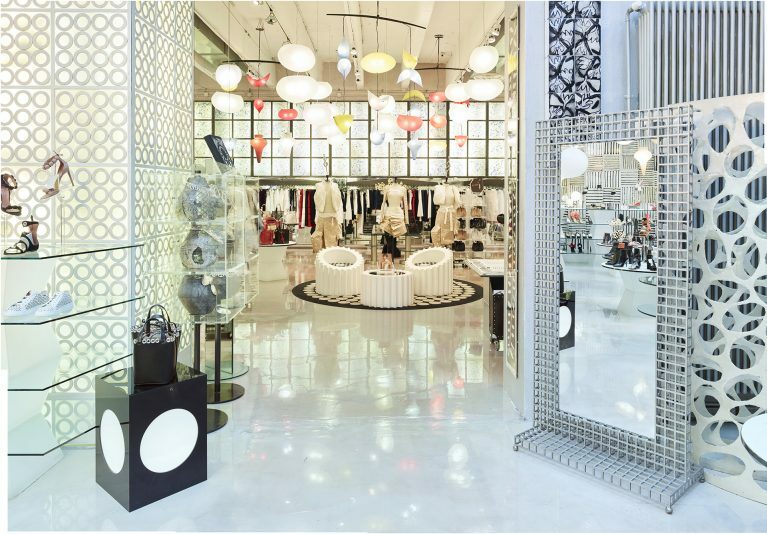 When passing this way, it’s worth stopping by the 10 Corso Como concept store. 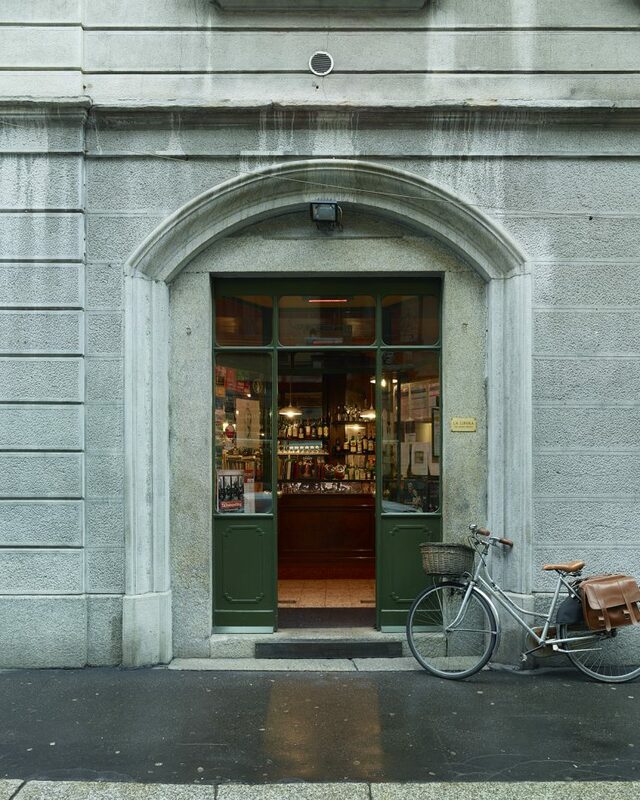 Of the surrounding streets, Via Solferino is perhaps the most fascinating and evocative. There are also plenty of traditional restaurants in the area offering an authentic experience of Milanese cuisine. Two fine examples are La Libera, where one can enjoy a fine plate of riso al salto (sautéed rice), and the Latteria San Marco, a former dairy with places for about 30 people, and strictly non-bookable. 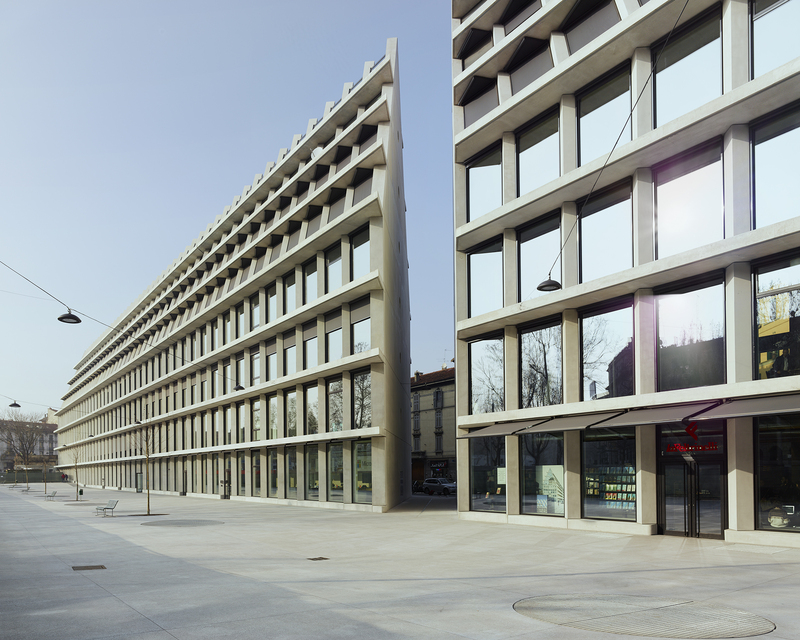 The nearly 200-metre-long block of the Fondazione Feltrinelli – by the Swiss architects Herzog & de Meuron – is less gestural and muscular than other buildings in the area, which seem to be jostling for supremacy in originality and cunning. Nonetheless, thanks to the astute precision and radicalism of the Fondazione Feltrinelli, it ends up achieving just as much, if not more. Like a good city building, it’s based on logical reasoning rather than the originality of its outward form. 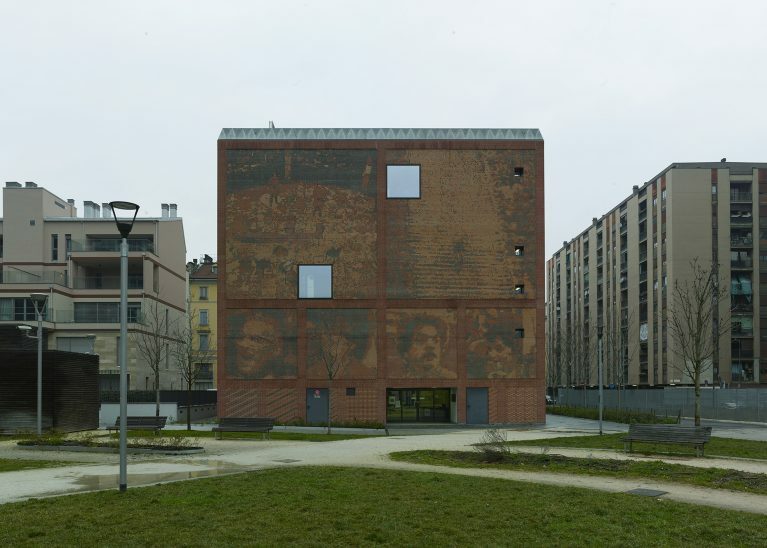 Visibly, it owes much to Aldo Rossi’s Gallaratese complex and its gothic appeal.